I've bought a lot of single eyeshadows recently and wanted to share photos of my haul and some thoughts on eyeshadow palettes. When it comes to eyeshadow palettes, I've been feeling both overwhelmed by the sheer quantity yet underwhelmed feeling like so many are repeats or follow the same "neutrals with a pop" theme. People's expectations about eyeshadow palettes and its usability seems to have changed over time. Nowadays it feels like people expect a palette to create a complete look but its inevitably a flawed thought when the idea of a "complete" look requires a brow bone highlight and midtone neutral brown for the crease and that usually means you'll have a lot of repetition across brands or colors that might not suit many skintones. Looking at recent palette launches made me realize that I was tempted by one or two eyeshadows but I can't rationalize buying the palettes for those few colors. 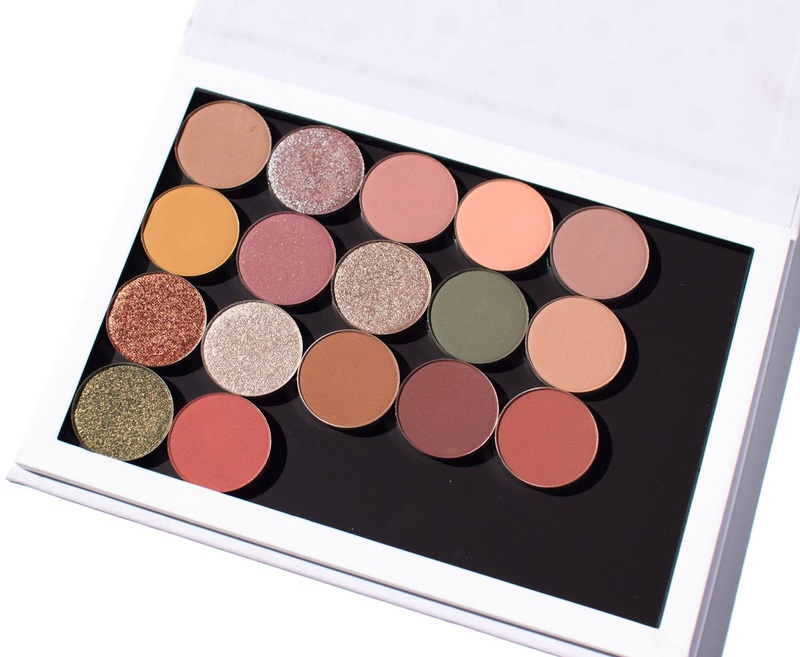 These thoughts combined with looking at this wonderful curated palette of singles on MakeupAddiction reminded me that single eyeshadows do exist which inspired me to try to create an Everyday Singles Palette. This type of palette is something that can change depending on my tastes but can still be a core collection of products. I'm not new to single eyeshadows, especially single eyeshadows that come in pan form but they definitely fell by the wayside over time. Here are the single eyeshadows I purchased from Coloured Raine (today the 8th is the last day for their 30% off sale!) and Colourpop. 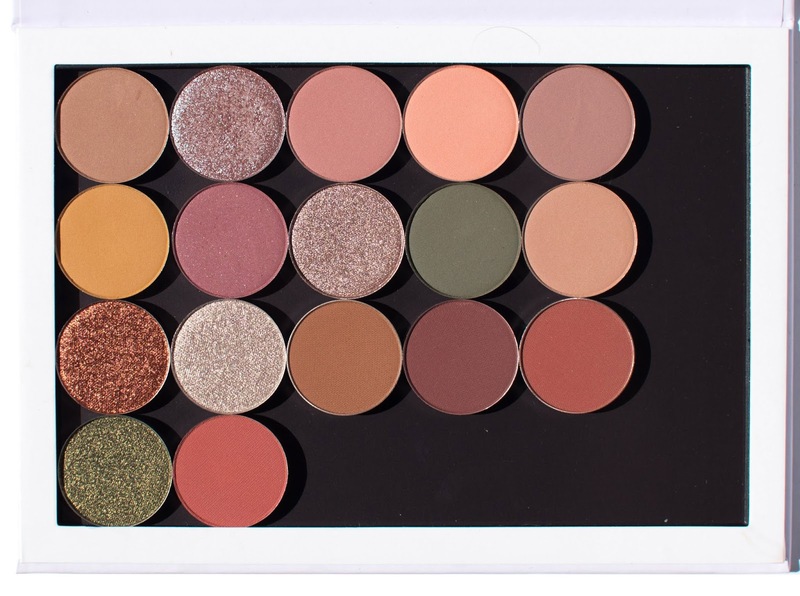 I started off wanting to dupe EBB, the olive green from the Colourpop Good Sport palette and came across Coloured Raine's Side of Olives and ordered a few shades. I then ordered a few Colourpop shades from that palette I saw on MakeupAddiction and ended up with an empty refillable palette. In total, I got ten single eyeshadows from Colourpop and seven eyeshadows form Coloured Raine. Combined with my previous collection of eyeshadow singles, I'm able to create a collection that suits me and my makeup needs for now. I'm still in the process of curating my Everyday Singles Palette but I'm happy with what I have added to my collection so far. By no means am I deluding myself into thinking I will never buy another eyeshadow palette again but I do feel like I'll be able to think more critically and figure out whether the palette contains colors I will actually wear vs. colors I want to have in my collection. Do you like to use single eyeshadows? Are there any palettes you find to be interesting so far? Disclaimer: I purchased the eyeshadows and palette myself. All opinions are my own and I was not compensated by any of the brands mentioned. The post contains affiliate links which provide me with a commission based off your use of the link when making a purchase. I agree, Mai. I have bought too many palettes for one or two shades. I find I've been using my put together palette of singles lately. I love the shades that you've collected. I agree 100%. There is palette overkill, and they're mostly neutral with one or two not-so-neutrals thrown in. I actually have a whole single eye shadow palette I made of eye brightening nudes! All slightly different but I think most people say they all look a whole lotta like each other! I love to put together a palette like this though mine is mostly neutrals. I don't like it for travel but I like having the colors together to do my daily makeup. The shades you chose look lovely. I've passed on so many palettes lately since I got tired of the repetition. I've started keeping a few staple palettes around for the basics and then buying singles for those pops of colours that catch my eye.The singles makes traveling much easier too! Loving the color choices you made! I just started a single color collection myself with Make up Geek and love it! Well I LOVE what you have put together, all of those colors are ones I would totally wear! It's a hard toss up - palettes vs single pans. I like both and sometimes just buying the palette takes the hard work out of it! Love this, such gorgeous rich fall inspired shades. I thought for sure I was the only one that found it hard to commit to buying a whole palette just for ONE Shade. This is such a great idea. I've been feeling the same way with palettes so I'm trying to get more into single shadows. I find that I put them into magnetic palettes and then put them away and then just grab a regular palette instead of the different magnetic palettes. I'm thinking about moving the magnetic palettes to my vanity so they're out and maybe I'll grab them more often. I love being able to build my now palette too!!! Just so much wiser and get so much more use! You created a really pretty palette — personalized for your preferences, which is the awesome thing about singles. And you got them all 30% off! So awesome!